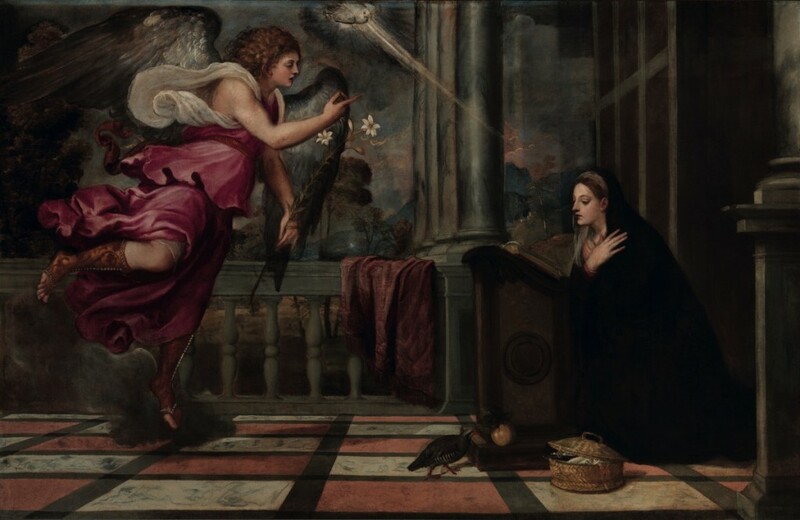 Titian’s Annunciation was acquired by the confraternity in 1555 under the terms of the jurist Melio da Cortona’s will, which requested that it be hung in the “Albergo or the Salla” as the brothers saw fit. In the event, it was placed over one of the landing arches of the monumental staircase, within a richly carved and gilded frame bearing the arms of the donor. Its compositional arrangement is of great simplicity, with the figure of the Virgin and the angel standing out against an architectural background composed of only a marble balustrade and a row of columns, opening onto a landscape of trees and rocks. The attribution of the work to Titian, at one time doubted by the critics, is now unanimously accepted, with a dating to around 1535. 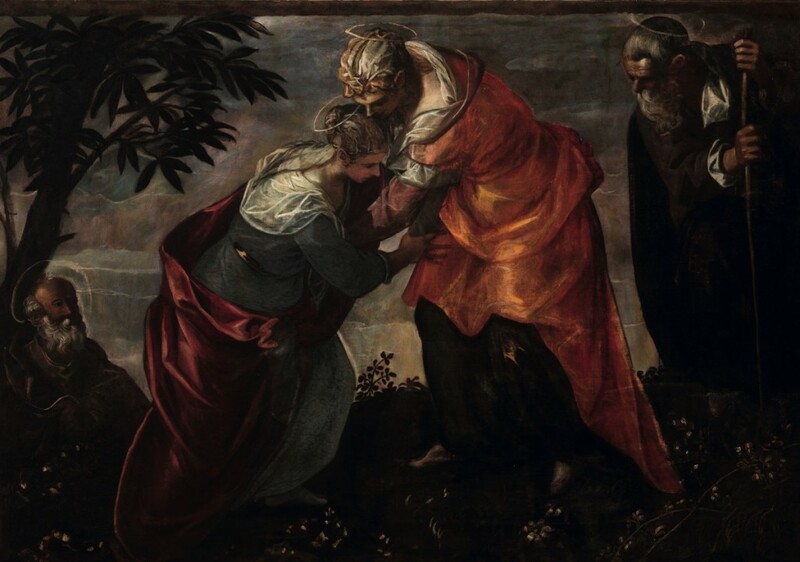 Only at a later date was Jacopo Tintoretto’s Visitation commissioned as a pendant over the other archway of the same landing.